The Salted Sisters is a lifestyle, fashion, and beauty blog run by the inseparable Jaclyn and Chelsea. They so alike they often get mistaken for twins, despite being five years apart, and they love doing errands together, hanging out together with their kids, or coming up with new ideas for the blog. On the blog, the sisters greatly enjoy sharing pretty things with their readers and curating looks by strategically coordinating outfits and makeup, and they greatly appreciate all the followers and double-taps they’ve accumulated over the life of their blog. Through this endeavor, they learned to work hard and follow their heart’s desires, and it’s payed off immensely, as they are quite happy with the blog and especially with their beautiful families, and the tight bond of friendship and sisterhood they’ve forged. 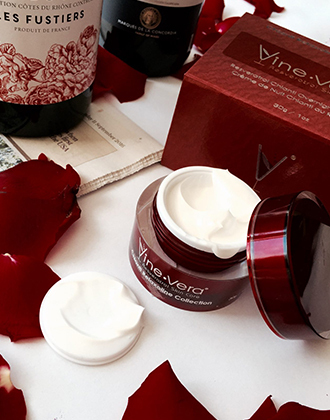 Recently, the Salted Sisters wrote an article on Vine Vera. 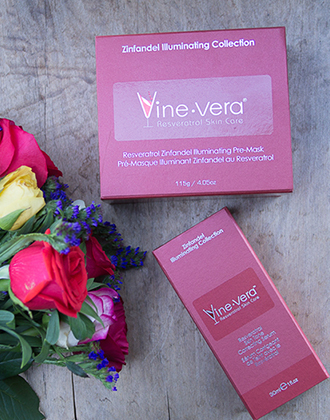 Specifically, they tried out Vine Vera’s Zinfandel Collection. They admit not being incredibly serious about skin care all their life, but recently coming to the realization that they’d better work harder on taking care of their skin—especially delicate facial skin—if they wanted to ensure they aged gracefully like they wanted. 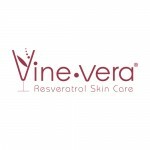 The sisters loved the entire collection, and were especially impressed with the Vine Vera Resveratrol Zinfandel Illuminating Petal-Peel System, and offered detailed instruction on how to use it as well as a glowing assessment of the product.